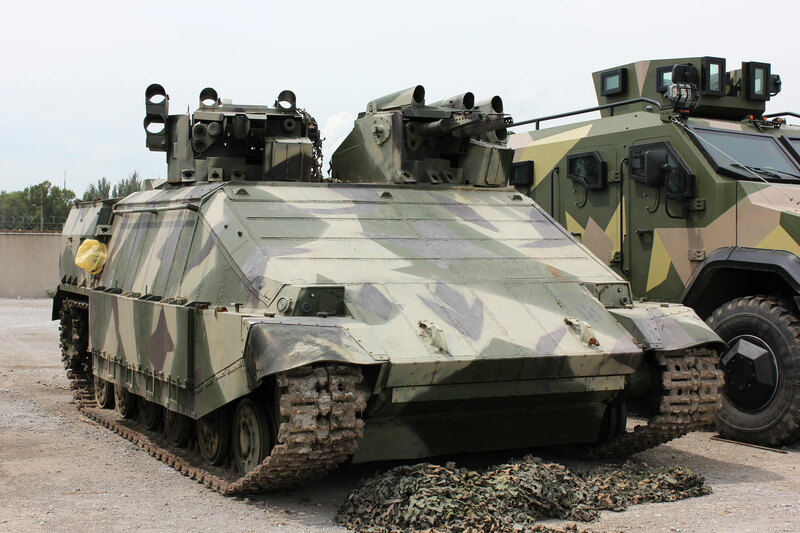 In 2015, Engineering Group Azov presented a revolutionary armoured vehicle, Azovets. Designed initially as an urban tank, Azovets featured two weapon turrets fitted with 23mm GSh-23 air cannon, PKT machine gun, and ATGM launchers. Protection was provided with the Ukrainian made Knife reactive armour mounted all around the vehicle. Most vulnerable areas of the hull were mounted with two layers of reactive armour. Azovets’s revolutionary feature was a control system based on cameras. The crew could view their surroundings without raising, and therefore exposing, their heads outside of the turret. Azovets was presented to Arsen Avakov (Ukrainian Minister of Internal Affairs) in November 2015 and approved for further development. 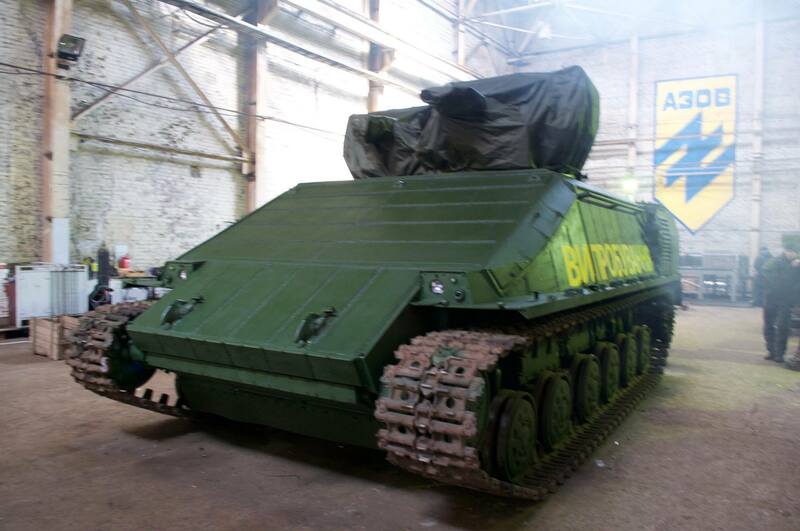 In April 2016, the urban tank was sent for trails but the testing was suspended in May. According to a worker of the company, an investigation showed that supplied cameras were designed for household intercoms and delivered from China. Police launched an investigation and opened a criminal case in suspected corruption but nothing was found. 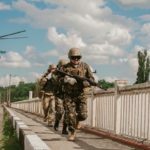 In October 2016, an unidentified group broke into a compound of Azov’s engineering group and stole Azovets. It was later discovered members of Azov Regiment were behind the act. The regiment brought the urban tank to its base in Urzuf but due to improper handling, its engine and gearbox burned down. It’s worth noting that Azov Regiment had its training facility in the same industrial complex as the engineering group, just a different building. Later in October 2016, Group’s compound was seized by Azov Regiment. They refused to let anyone in and forced the employees to relocate their facility to somewhere else, leaving everything behind. 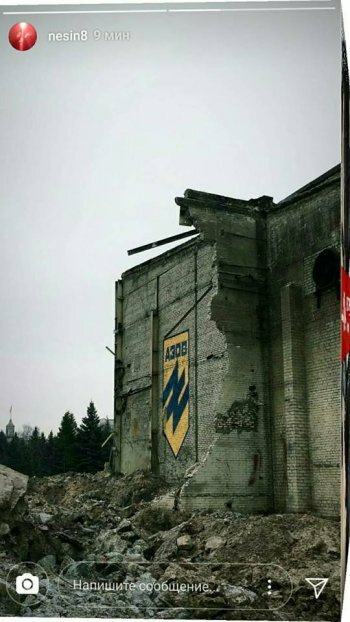 Members of Azov confiscated all equipment and tore down the building. 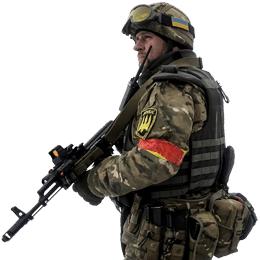 The engineering group broke all ties with Azov and begun working for Ukrainian Defense Industry under a different name, Arey. Ideology and how to use money from governmental contracts were main issues named after the split. Despite all the difficulties, the company successfully finished work on modernization of BRDM-2 and continues to work on a concept of new T-rex tank and modules for combat vehicles. The status of Azovets is not known for certain. 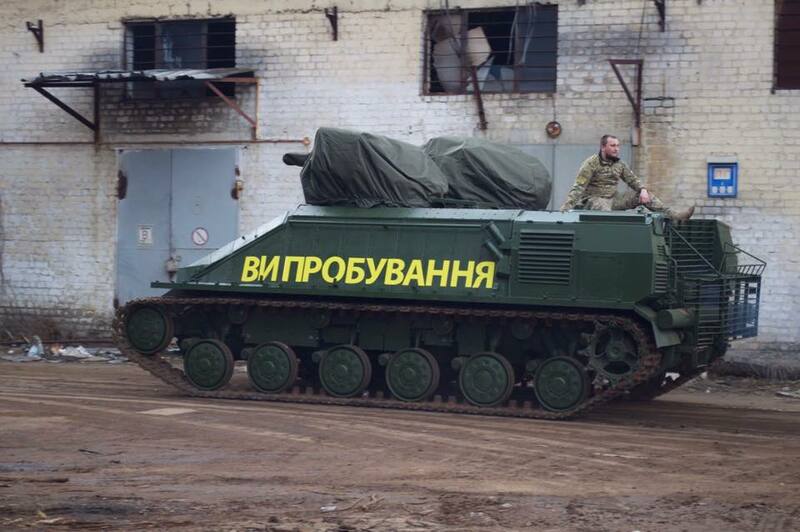 According to volunteers, it’s parked in Azov’s base in Urzuf, taking dust as engineerings are unable to repair it. Azov Regiment has never issued a statement on this topic.